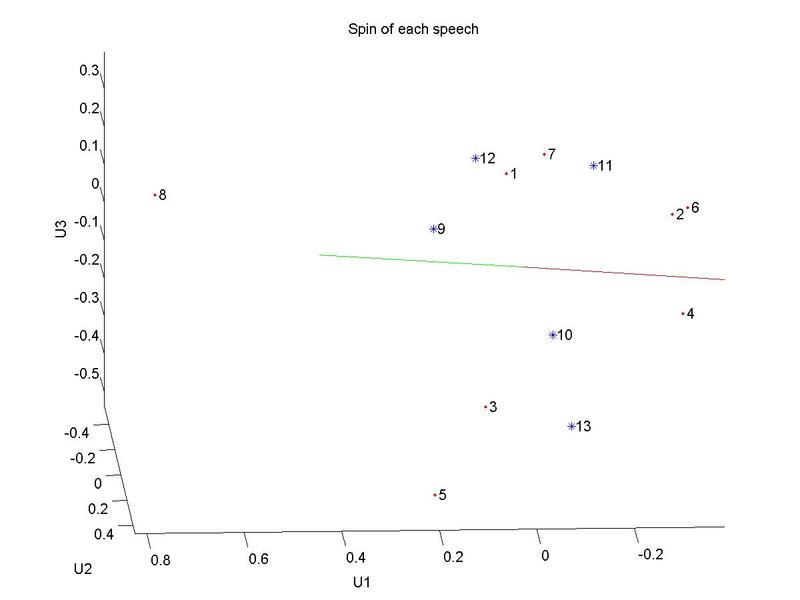 Just to round out the picture, here’s data comparing the levels of spin across the speeches from both conventions. The relative positions don’t change much when compared to the other party. Within each party, there’s the same division into high- and low-spin speakers. McCain’s overall spin is still so low that it makes all of the other politicians look as if they are clustered quite close together, but there are actually quite large differences between them. Note the cluster of Bush, Palin, Bill Clinton, and Biden who have very similar speech patterns. Perhaps this is the sign of a successful politician? McCain’s speech last night had extremely low spin, mostly because of the very high rate of first-person singular pronoun use, almost twice the rate of Bush and Huckabee. It’s so large that it almost washes out the differences in the rates of use of other word classes. The speeches are in chronological order: 1 – Bush, 2-Thompson, 3-Lieberman, 4-Romney, 5-Huckabee, 6-Giuliani, 7-Palin, 8-McCain. 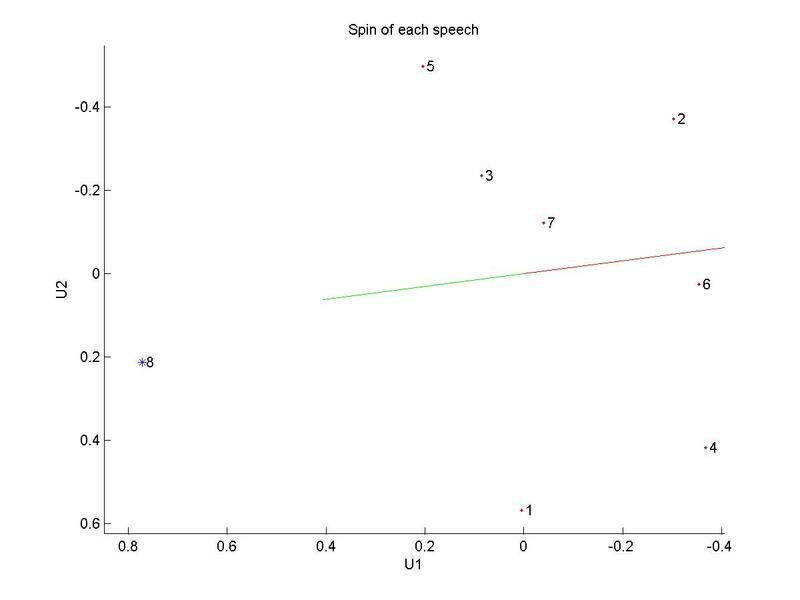 Note the alternating pattern of high and low spin, which is also characteristic of speeches on the campaign trail. We suspect that this is the result of (probably subconscious) awareness of spin that feeds into the scheduling.